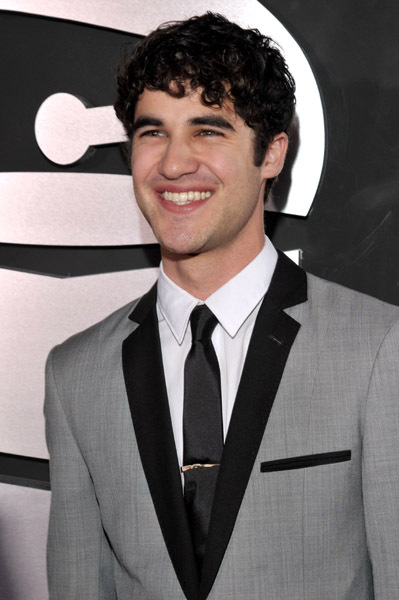 Darren Everett Criss is an American television actor, singer-songwriter and Internet personality. 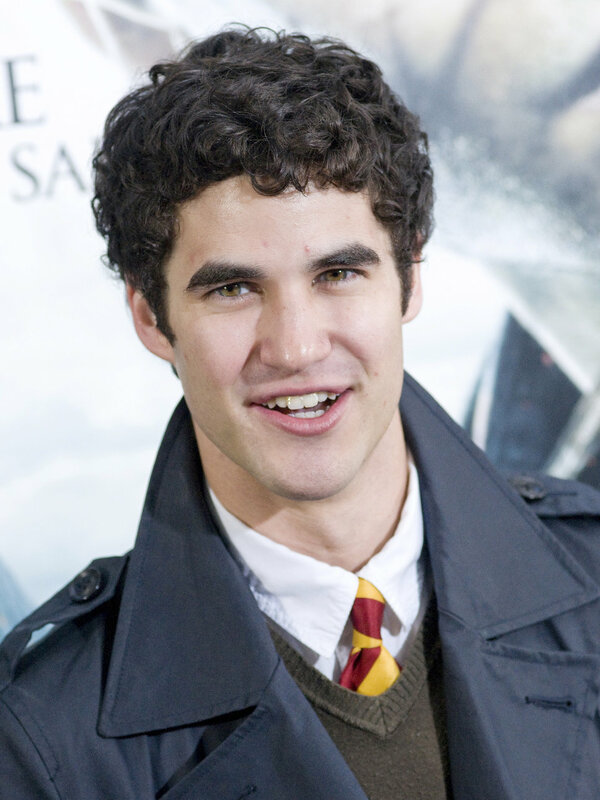 He is best known for his portrayals of Harry Potter in A Very Potter Musical and Blaine in the second season of Glee. Right! Redundant info ....That is what the Wikipedia bio I quoted states. 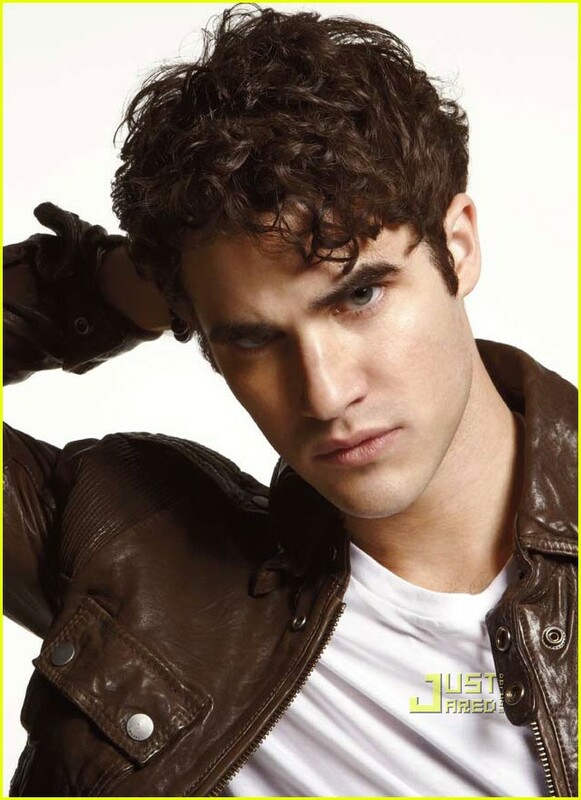 But pretty soon, if not already, it will be all about him in "Glee!" I actually mean that as a joke. As in, nothing else he does is important because his AVPM and AVPS were so good and he'll always be the narcissistic idiot Harry Potter to me. 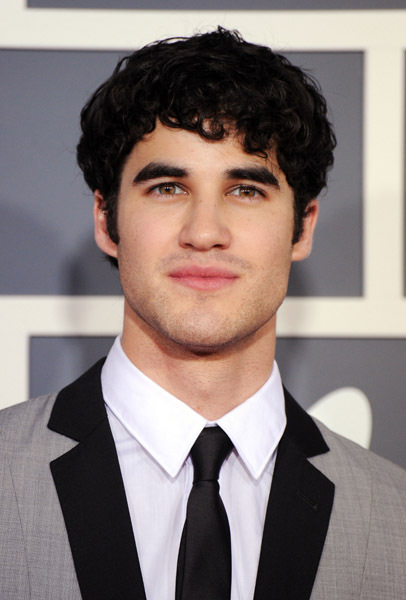 Was there any trepidation on your part about taking on the role of a gay character, or concern about being pigeonholed after moving on from Glee? Not at all. 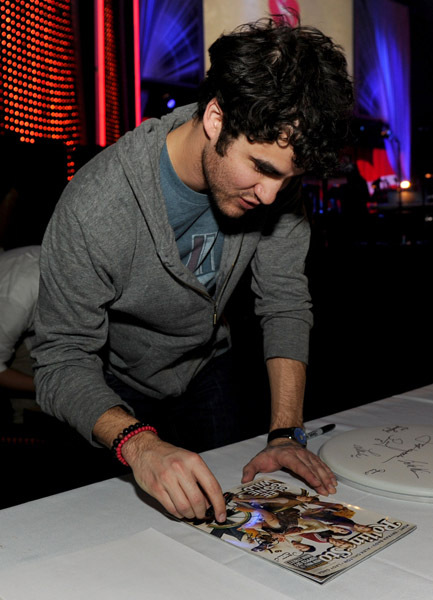 To be quite honest, that doesn’t take up a huge chunk of what really matters about Blaine. After having gotten to know the show a little bit, I was really excited to see that a character like this—such a strong gay character, especially a young, male, out-and-proud teen—was going to make its way onto network television, much less Fox. This is the first time I’d really seen an out student that was so young and innocent and really struggling with the big ordeal that it is to be an out student at such an early age. When other shows present the gay character thing, it’s typically been in much more adult situations, like gay men living in New York or closeted men who are married and struggling with that ordeal, but never really the core of the journey of defining your sexuality. Blaine offers a beautiful counter to that and makes such a great addition to the many-colored palette that is Glee. So as far as me having any reservations about it, no. I read it being like, this would be so cool, whoever gets to play this, it’s going to be a great thing for an already great show. 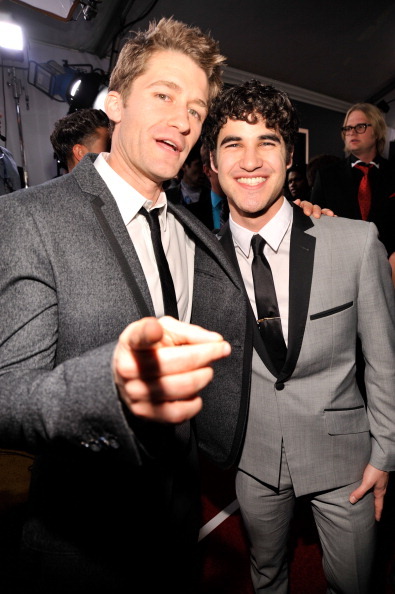 Criss talks about his role on 'Glee,' his character's relationship with Kurt, and working with Matt Bomer. cover boy of our March 2011 issue—about playing Kurt’s boyfriend, his character's future, and working with Bomer. OUT: Why is this episode so important for Blaine? 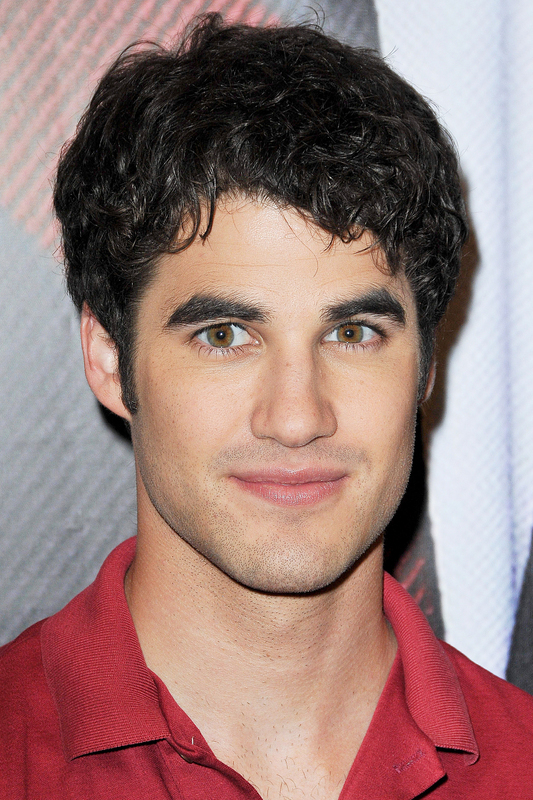 Darren Criss: Well, we get to actually meet Blaine's family and get a glimpse into his personal life. We've seen pretty much all of the main characters' personal stories and backgrounds already. I'm most excited about the fact that people will finally get to see what makes Blaine tick—why he does what he does. You learn more about my character through his family... what makes my character the way he is. Where do you see Blaine going in these last eight episodes? Well, beginning with this episode you see more of Blaine and his back story. You've seen the his friends, and how Blaine is more, now than ever, a support system for Kurt. In this last part of the season, you'll get to see more focus on the main characters and what their plans are and how their lives will be like as they move forward. 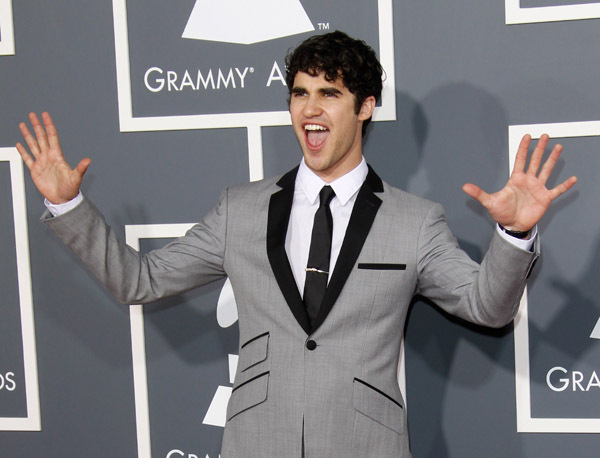 What are Blaine’s plans after graduation? I have no clue, though my character isn't graduating this season. The cool thing about graduating high school is that you enter as one person and leave as another. I mean, the characters are growing up and changing. I’m excited to see what the writers have in store for us. 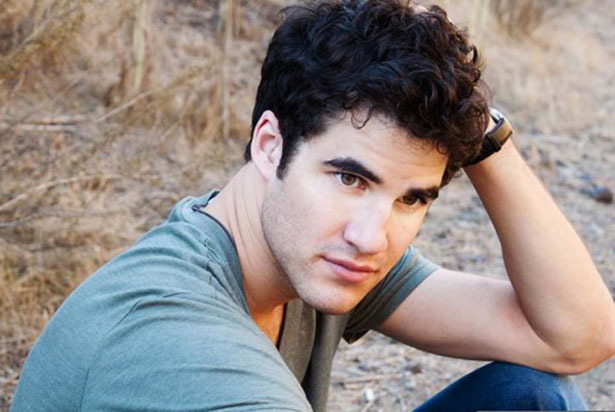 What will happen to Blaine and Kurt? I think they'll be okay. They have a strong relationship. It’s good, it's healthy. They've become a support system for each other. How was working with Matt Bomer? We had a really great time, and he was very easy to relate to. He was doing all of this hilarious stuff and it was hard for me not to laugh. He was great for comedic relief, and I think you see the chemistry that we had in the episode. 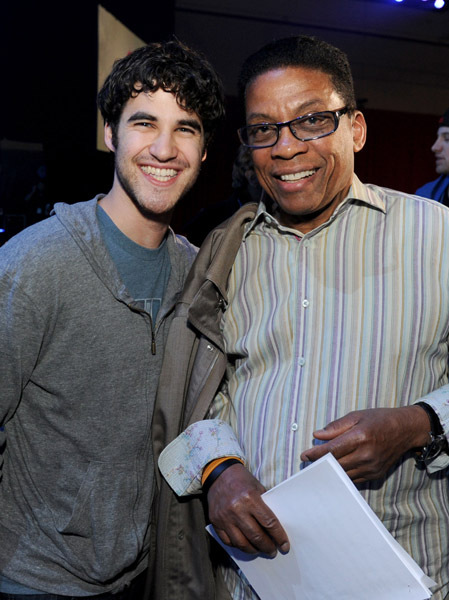 He's is a great actor and I can honestly say I had a great time working with him. What has been your favorite thing about being on Glee this season? Where do I begin? Having a job, singing and dancing, and being around amazing people that love to come to work. Every day is really special because we spend it doing what we love. The cast, the crew, everyone that works to make the show a success, is truly amazing. I am just really blessed. What were your thoughts when you realized there are only eight episodes left until the graduation episode? This isn't really the ending to things. I don’t look at it like a finish line—we started on a strong note this season and were going to finish even stronger. Really, I don't have that much of a reaction...I'm ready for more. You’re going to be on The Cleveland Show playing opposite Fergie. What was that like? Really cool. Fergie is incredible. We had met at a few events and whatnot, so we had met before. Originally, we were supposed to record together, but our schedules never matched up. Basically, my character is in a choir and I am trying to get her attention. It’s just a really fun episode, plus I am fan of the show. I'm just excited and honored to be included with a lot of other people that have lent their voices to that show. me too!! !and I love his voice! He is so. damn. hot.